With a single blow, Cete won both honor and exile from his last commander. Since then he has wandered, looking for a place to call home. The distant holdings of the Reach Antach offer shelter, but that promise has a price. The Reach Antach is doomed. Barbarians, traitors, and scheming investors conspire to destroy the burgeoning settlement. A wise man would move on, but Cete has found reason to stay. 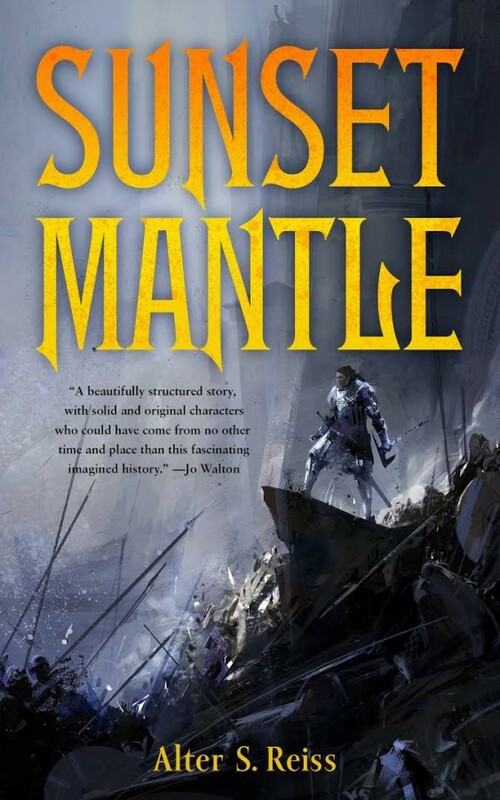 A blind weaver woman and the beautiful sunset mantle lure the warrior to wager everything he has left on one final chance to turn back the hungry tides of war.